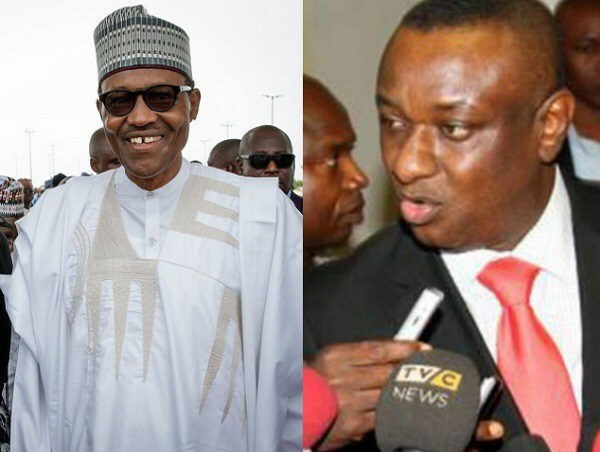 Nigerian lawyer, Festus Keyamo who was recently made the Director, Strategic Communication of the president’s campaign organization, in an interview on Channels TV on Sunday, said that 2019 election will be easier for President Buhari to win than even when he was elected in 2015. Festus Keyamo who disclosed some ‘great’ feats President Buhari has achieved so far in his government like the second Niger bridge, also said it is 40% complete and has been expanded from a 2km to a 7km bridge. He also pointed out the railway tracks, which he said has been increased from single gage to standard gauge railway tracks. According to him the railway tracks between Lagos and Ibadan and Kano and Abuja is 80% complete. Nigerians will see that despite all the negative talks here and there, that it will be the easiest election for the president more than that of 2015,” said the lawyer. This is also coming after a group, known as One Destiny Organization, ODO, told newsmen that the appointment of Mr. Festus Keyamo, SAN, as spokesperson for the Buhari Campaign Organisation, BCO, would make President Muhammadu Buhari‘s re-election bid easier in the 2019 presidential election. The National Coordinator of ODO, Ohiri O Lewis said in a statement yesterday, in Abuja, that the appointment of Keyamo was in recognition of his integrity, commitment and dedication to the cause of President Buhari’s re-election. He said, “It is a well deserved appointment. Nigerians know that Festus Keyamo is a committed Buharist, an ardent supporter of the policies and programs of this administration and not a frivolous person.